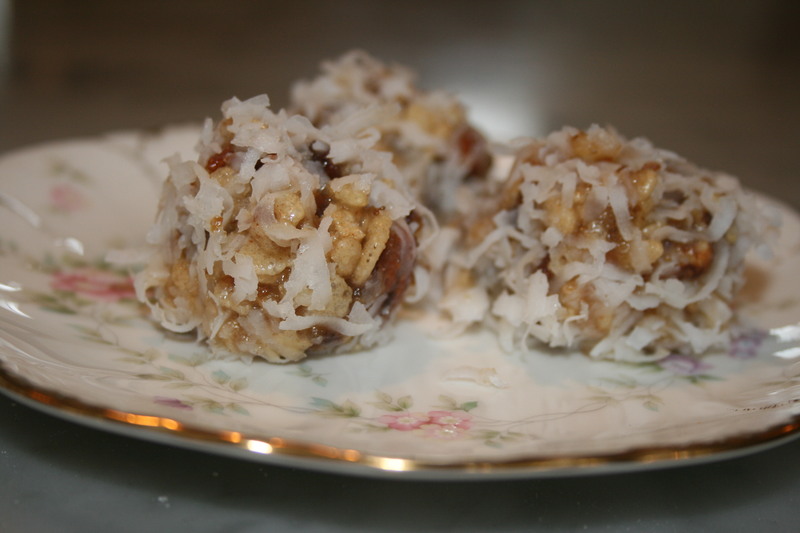 If you like dates, nuts, and coconut, this recipe is yummy-licious!! In a large pan heat butter, sugar, & dates. Once mixture begins to bubble allow to cook for a few minutes. Mixture will be a caramelized color. Remove from heat. In a small bowl whisk eggs. Temper eggs by adding 1 cup of hot mixture 1 tbsp at a time. Add egg mixture to the butter, sugar, & date mixture. Stir. 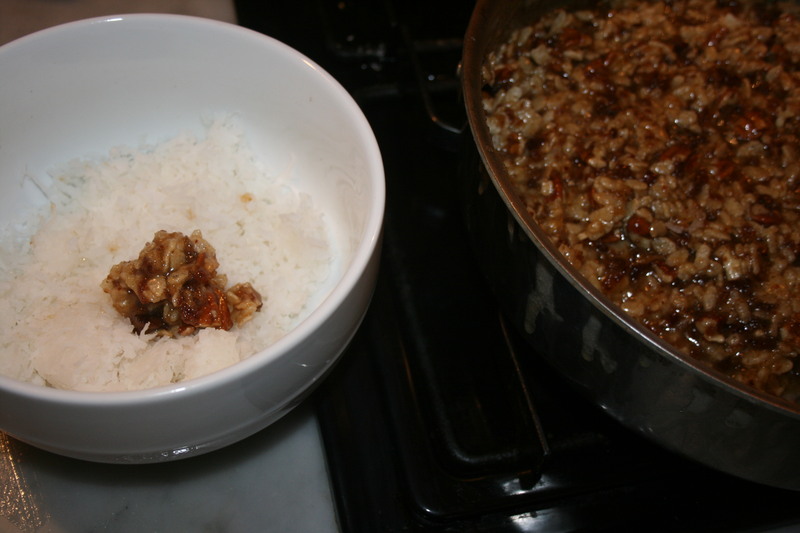 Add vanilla, Rice Krispies & nuts. Stir. 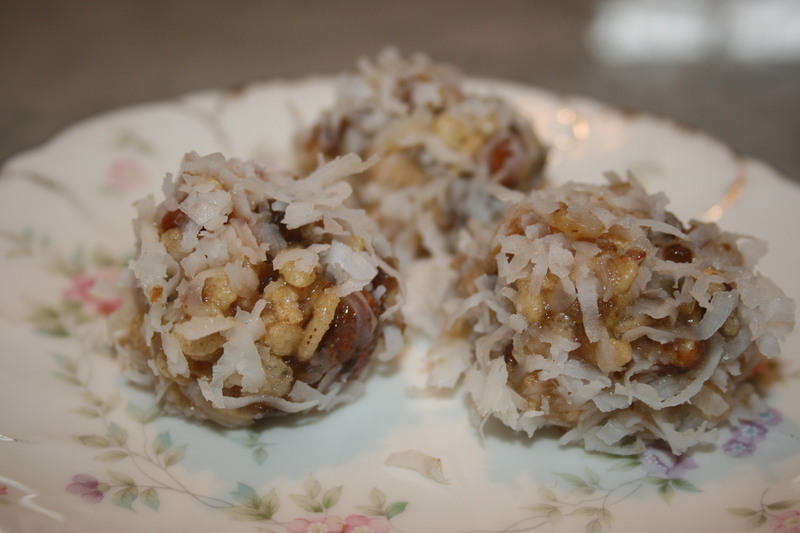 Place coconut in a small bowl. Drop 1 heaping tbsp of mixture into coconut. Mixture will be gooey. Roll into ball. Place on cookie sheet. Cool in the freezer or refrigerate.